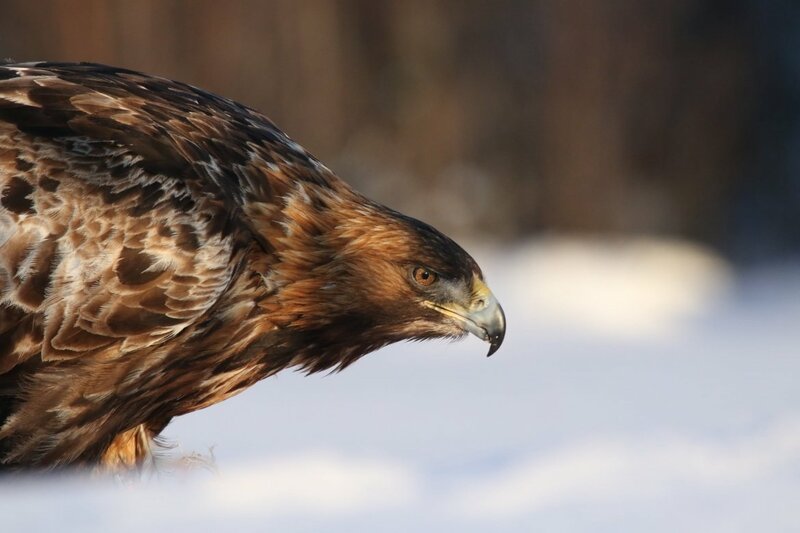 Join NaturesLens on the edges of the snow-covered forests of northern Sweden to photograph the Golden Eagles of the Swedish Winter; spend 4 full-days in the hide observing breath-taking scenes as golden eagles soar & settle in their remote & unspoilt habitats, in the area surrounding Skellefteå. Robin Lowry will assist you in taking stunning photographs of this remarkable bird species, as well as others, with the dramatic mountainous & forested landscape providing the perfect backdrop. This is an extraordinary wildlife photography trip, designed with photographers in mind to ensure you are given the best experience possible. Join NaturesLens to capture images of the Golden Eagles & other birdlife, in Sweden, during the Golden Eagles of the Swedish Winter photography holiday. This photography holiday is of day duration on a Full Board, Non-Shared basis & costs £1599 £1499 per participant. 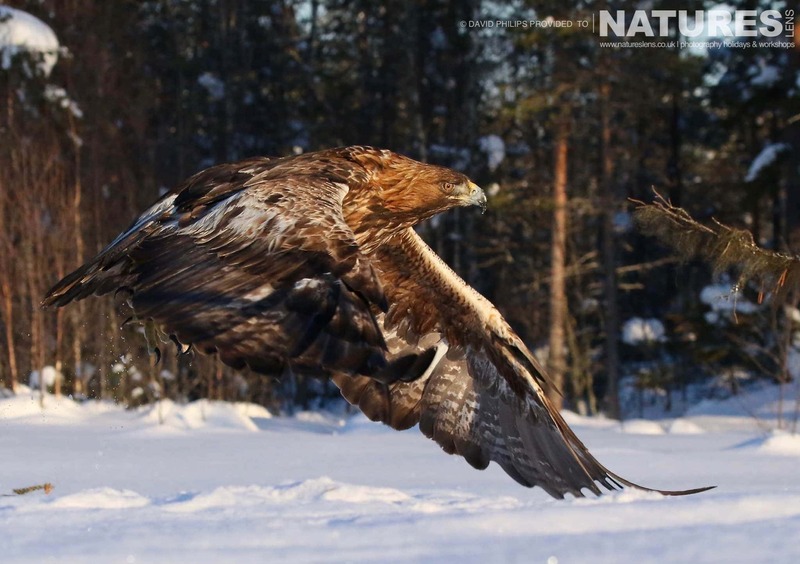 We invite you to join us between the dates of 3rd - 8th March 2020, & spend time within the forested wilderness of Sweden, photographing the indigenous golden eagles as they thrive in this wintery wonderland. Robin, a member of the NaturesLens guiding team, will provide assistance & guidance on an as-needed basis, assisting you in obtaining the best possible images. Photographing these impressive birds within stunning forested & mountainous landscapes, you will have opportunities to capture motion shots of the birds in flight, soaring above as they track prey, feeding, & resting within their protected habitats. Alongside golden eagles live a wide variety of additional bird species; such as the northern bullfinch, jays & the grey-headed woodpecker, which you will also have the opportunity to capture on camera. The heavy snowfall we expect in this region during the time of our visit only makes the scenery more dramatic, providing an incredible backdrop for wildlife photography. From the comfortable hides, which are new for the winter 2018/2019 season, you will have the chance to use both wide angle & close-up lenses, as the hides are placed in locations from which it is favourable to capture the eagles both at ground level & in the sky. You will spend full days in the brand-new hides, making the most of the changing light conditions throughout the day to take the most spectacular photographs. The hides offer heating & comfortable interiors, therefore protecting you from the icy conditions outside while ensuring that your photography experience is both lucrative & enjoyable. Our Golden Eagles of the Swedish Winter Photography Holiday offers some exceptional photographic opportunities; designed & led by photographers for photographers to ensure that every element of the photographic adventure enables you to achieve images that you will be proud to add to your portfolio. The Golden Eagles of the Swedish Winter Photography Holiday is led by Robin Lowry for NaturesLens. This photography holiday is offered on a full board, non-shared basis. Group size for this photography holiday is a minimum of 4 participants & a maximum of 6, plus Robin. We consider this to be an experience with a comfortable level of exertion, if you have any questions about your suitability for this event, please contact us before making a booking enquiry. The photography holiday starts & ends at Skellefteå Airport. Join NaturesLens to capture images of the Golden Eagles & other birdlife, in Sweden, during the Golden Eagles of the Swedish Winter photography holiday. This photography holiday is of day duration on a Full Board, Non-Shared basis & costs £1599 per participant. 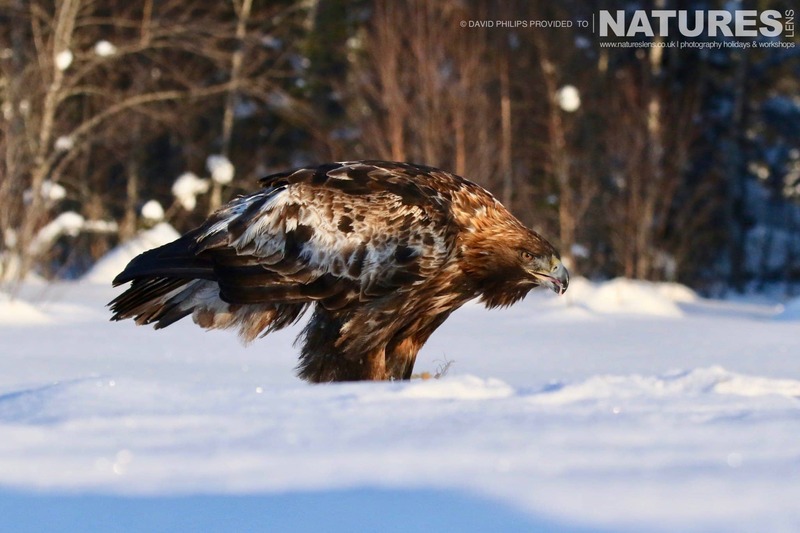 We invite you to join us between the dates of 5th - 10th March 2019, & spend time within the forested wilderness of Sweden, photographing the indigenous golden eagles as they thrive in this wintery wonderland. Robin, a member of the NaturesLens guiding team, will provide assistance & guidance on an as-needed basis, assisting you in obtaining the best possible images. Photographing these impressive birds within stunning forested & mountainous landscapes, you will have opportunities to capture motion shots of the birds in flight, soaring above as they track prey, feeding, & resting within their protected habitats. Whatever your query regarding our photography holiday, Golden Eagles of the Swedish Winter, please fill out your details below & we will get back to you.